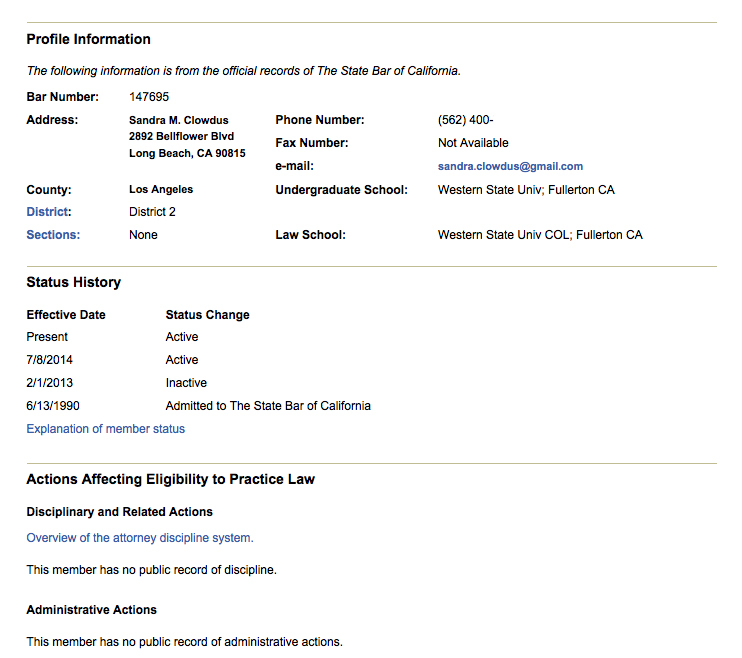 Sandra M. Clowdus (aka MollyDolly) faced disbarment in the state of California when she identified herself as Troy Reid's attorney in New York State. 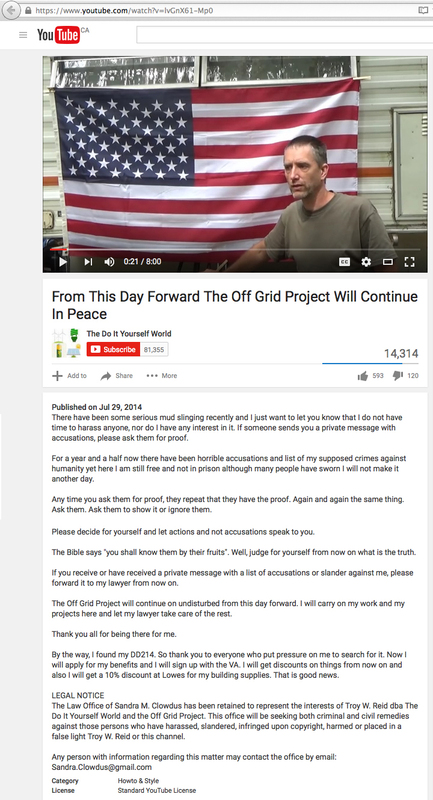 In July 2014, The Law Office of Sandra M. Clowdus was retained to represent the interests of Troy W. Reid dba The Do It Yourself World and the Off Grid Project in the state of New York when Sandra M. Clowdus knew, or was grossly negligent in not knowing, that she was not an active member of the New York State Bar. 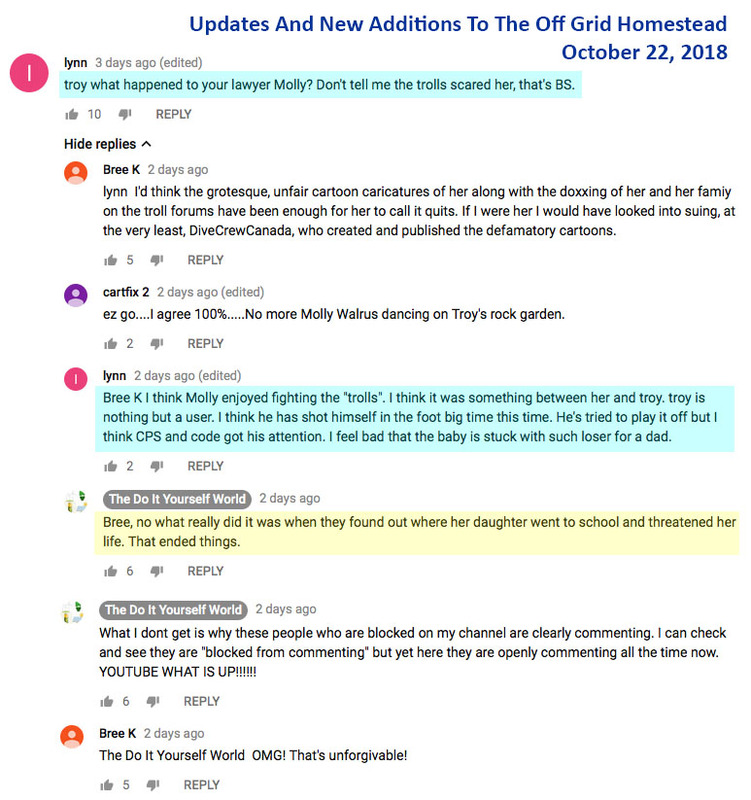 By setting up The Law Office of Sandra M. Clowdus and publishing notices on Troy W. Reid's videos in which Sandra M. Clowdus identified herself as legal counsel for Troy W. Reid, she held herself out as entitled to practice law in the state of New York. 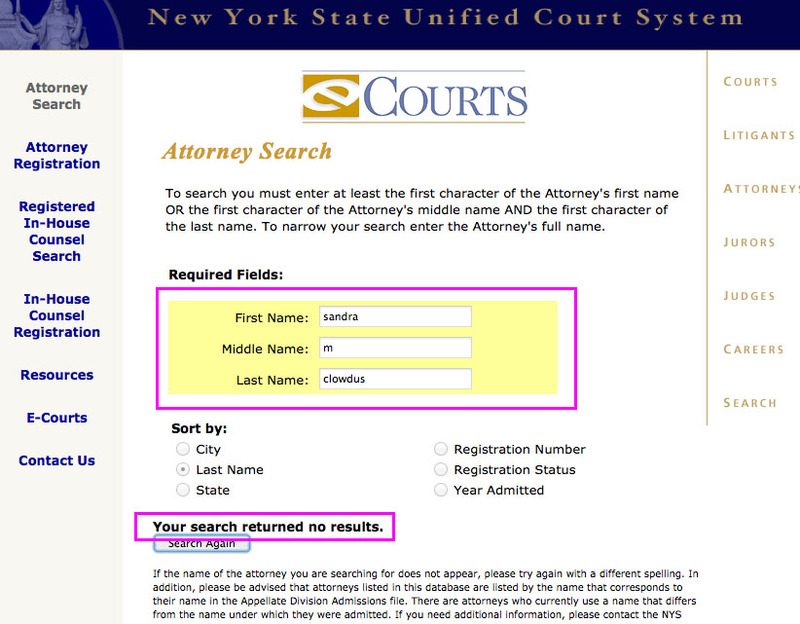 Sandra M. Clowdus is not a member of the New York State Bar. 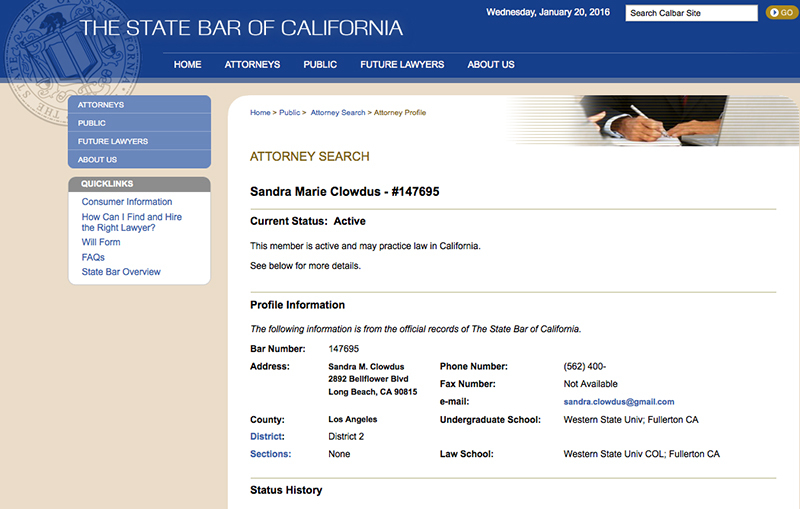 The Law Office of Sandra M. Clowdus advised that it was seeking both criminal and civil remedies against those persons who have harassed, slandered, infringed upon copyright, harmed or placed in a false light Troy W. Reid or The Do It Yourself World YouTube channel. 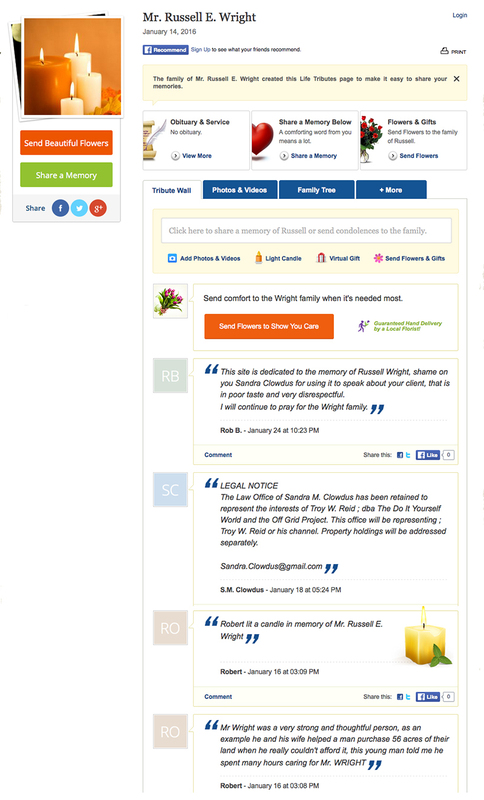 Any person with information regarding the matter was encouraged to contact Sandra.Clowdus@gmail.com.